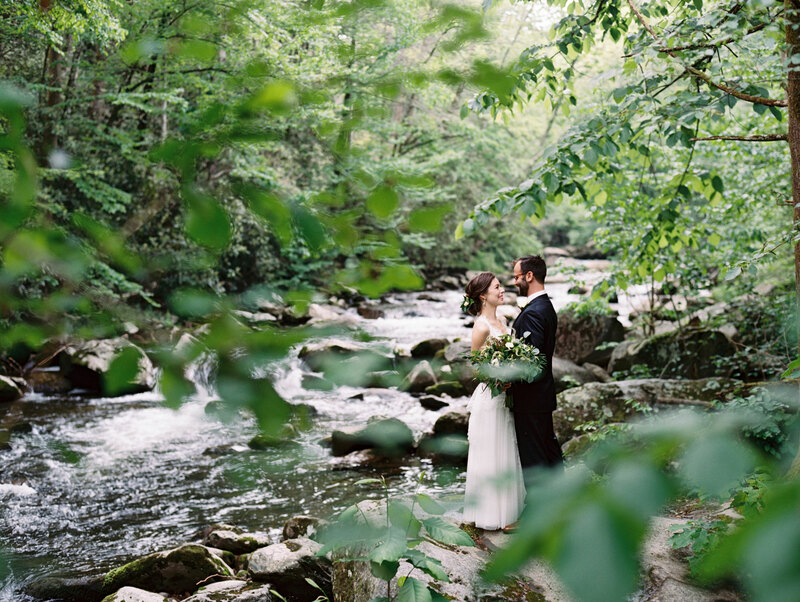 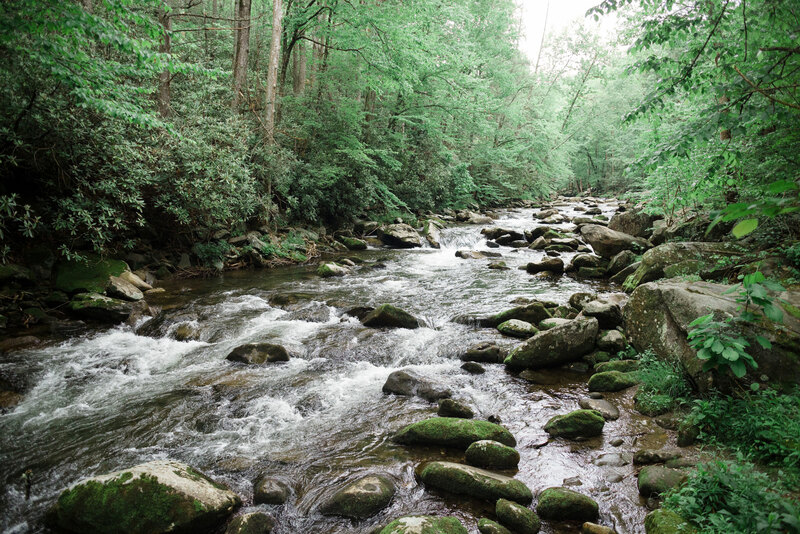 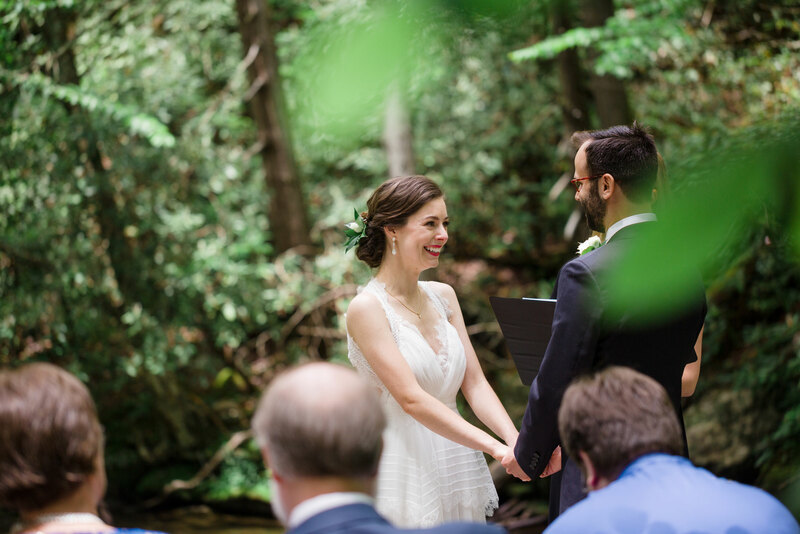 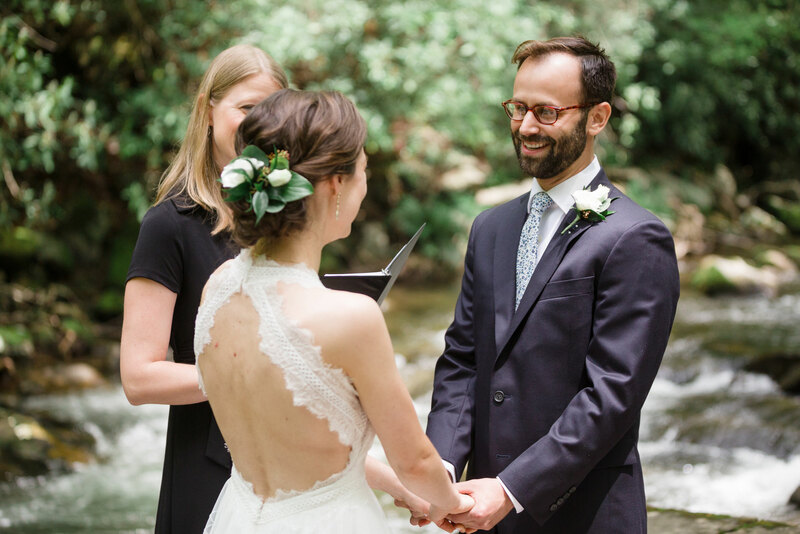 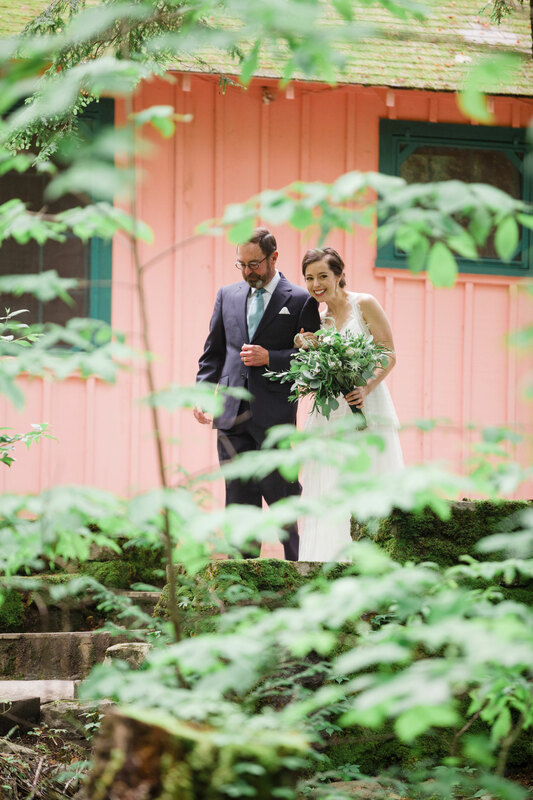 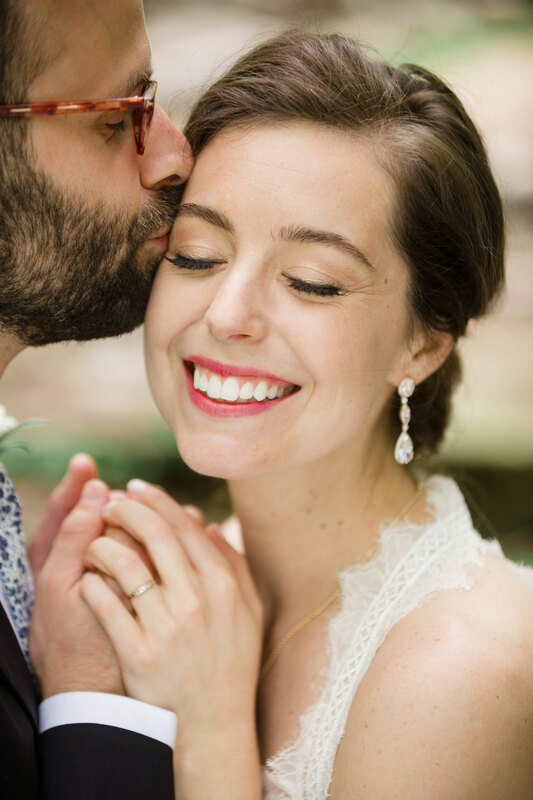 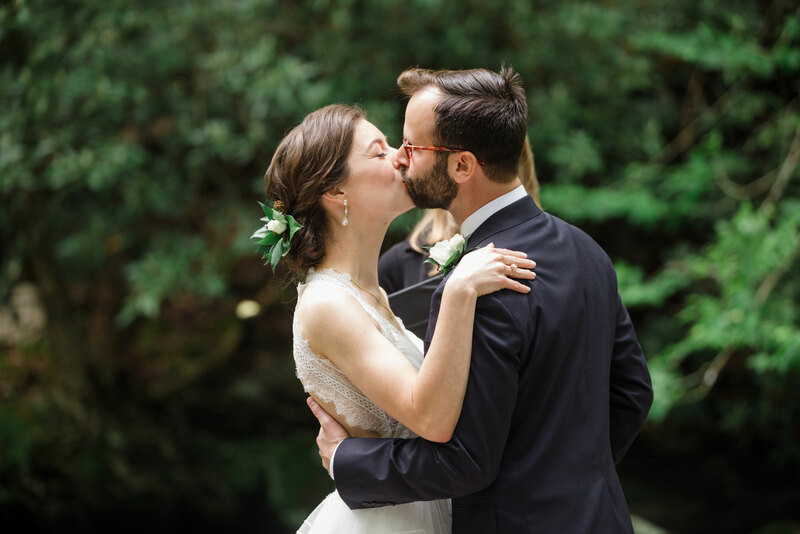 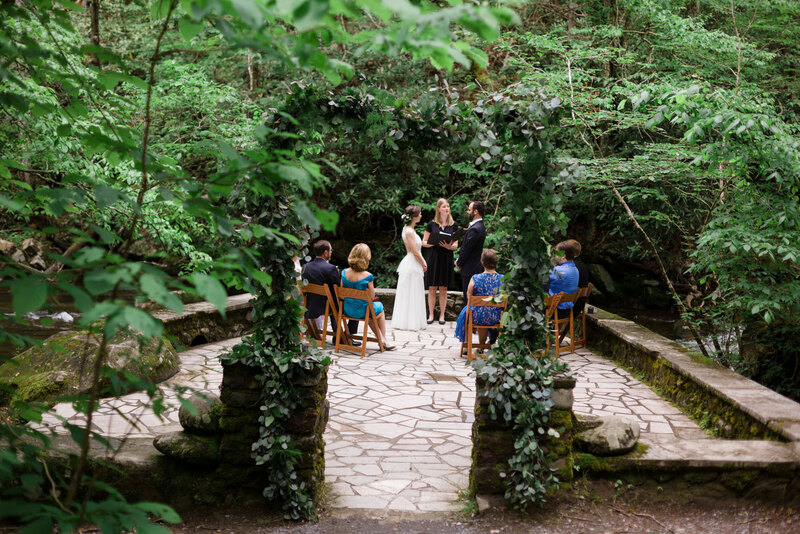 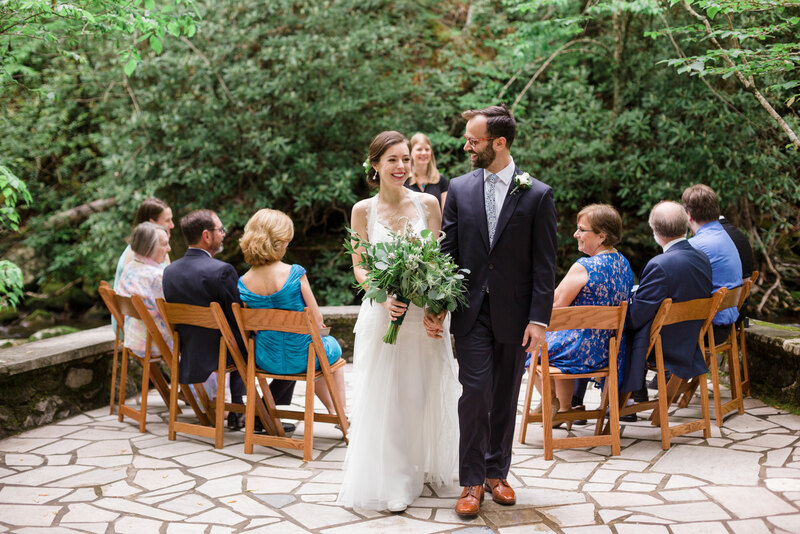 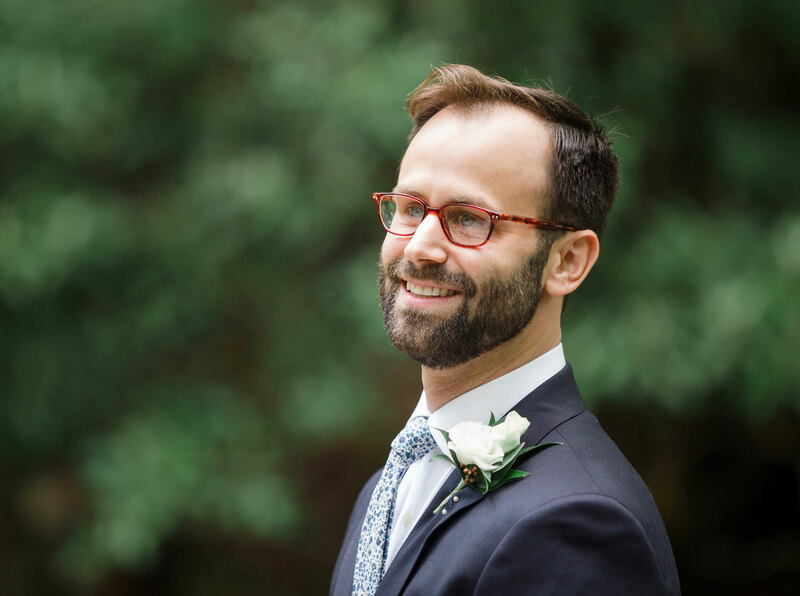 Jessica and Niels currently live in Arizona, but traveled to the Great Smoky Mountains National Park in Tennessee for an intimate wedding with their immediate family. 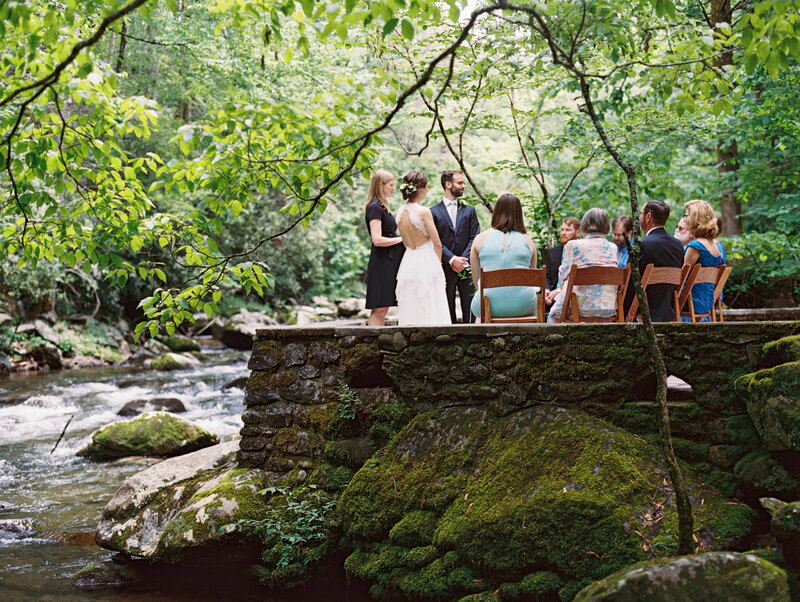 As the Little River was flowing behind them, they said “I do” surrounded by nature and their eight wedding guests. 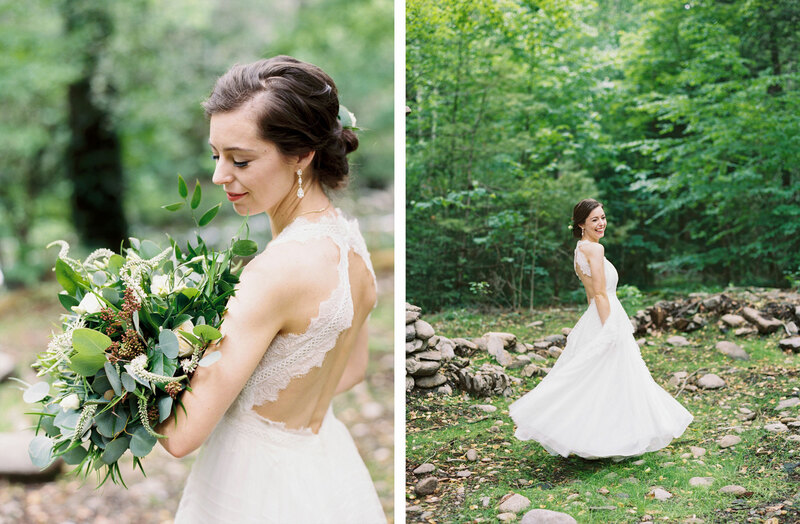 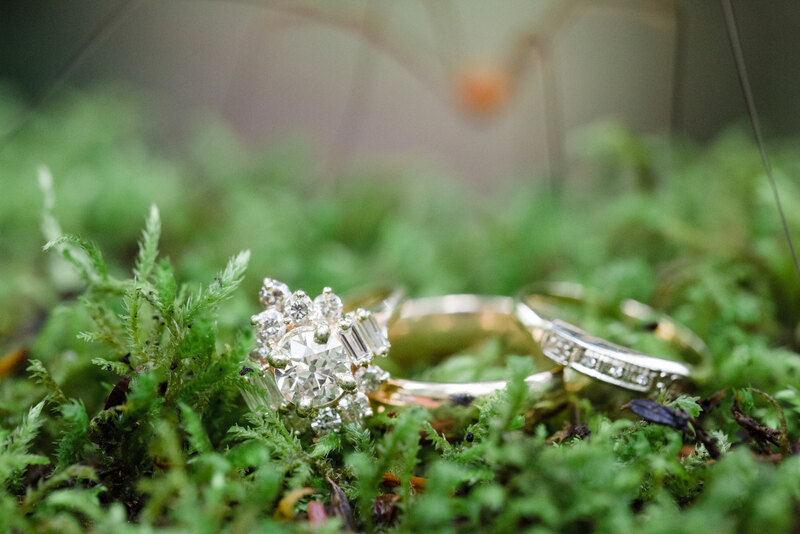 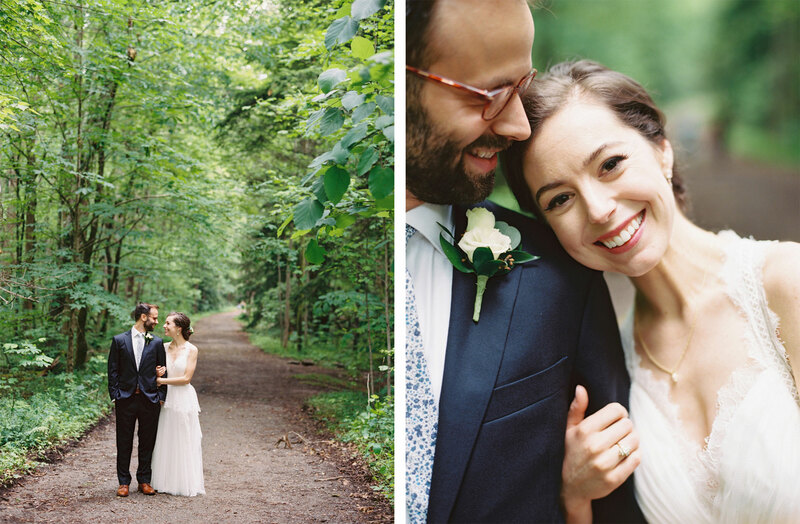 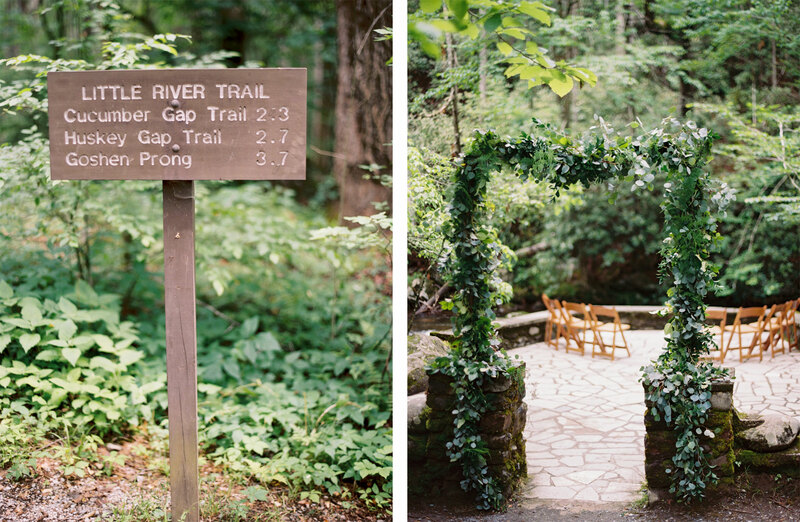 Jessica’s flowing wedding gown and organic bouquet perfectly complimented the lush forest backdrop.